Please join us for the next IPAF event; the IPAF Summit & International Awards for Powered Access (IAPAs) on 6 March 2019 at the Radisson Blu Dubai Deira Creek Hotel, Dubai, UAE. For more information and to book onlone, please visit www.iapa-summit.info. 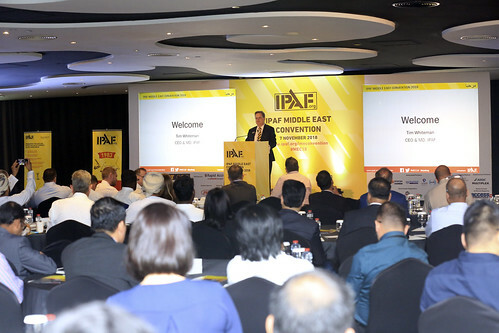 The fourth IPAF Middle East Convention took place in Dubai on 7 November 2018. With international speakers on current topics, technical, best practice advice and developments across the Middle East and beyond. Delegates represented a broad cross section of the industry; manufacturers, dealers, training companies, users and operators, which made the event an exceptional educational and networking opportunity for all. يسر IPAFدعوتكم لحضور فاعليات المؤتمر السنوى وذلك فى يوم 7 نوفمبر 2018 بفندق ميدان ند الشبا, دبى الإمارات العربية المتحدة. إنضم إلينا لحضورالمؤتمرالرابع IPAF الشرق الأوسط, دبي في يوم 7 نوفمبر 2018. إستمع إلى نخبة مختارة من المتحدثين الدوليين حول أحدث المعدات والتى تتضمن الجوانب الفنية والتحديات الجارية وكذلك أفضل الممارسات والتطورات المتعلقة بها في جميع أنحاء الشرق الأوسط وما وراءها. Email faith.cobaine@ipaf.org to join the waiting list. FREE PLACES FOR IPAF MEMBERS! Full members are eligible for two free places and an associate member is eligible for one free place. A discount will be applied during the booking process. Not already an IPAF Member? IPAF membership starts from US$115 (renewed annually) and includes a range of benefits including discounted event tickets including the IPAF Summit and IAPAs - the global annual conference and awards dinner, on 6 March 2019 in Dubai. For more information about becoming a member and to apply online, please visit www.ipaf.org/join. Shaped in the form of a wave in motion, The Meydan Hotel is designed for urban elegance, combining contemporary luxury with exceptional dining options, outstanding infinity pool, a tennis academy and world-class golfing range – all next to the world-famous Meydan horseracing track. 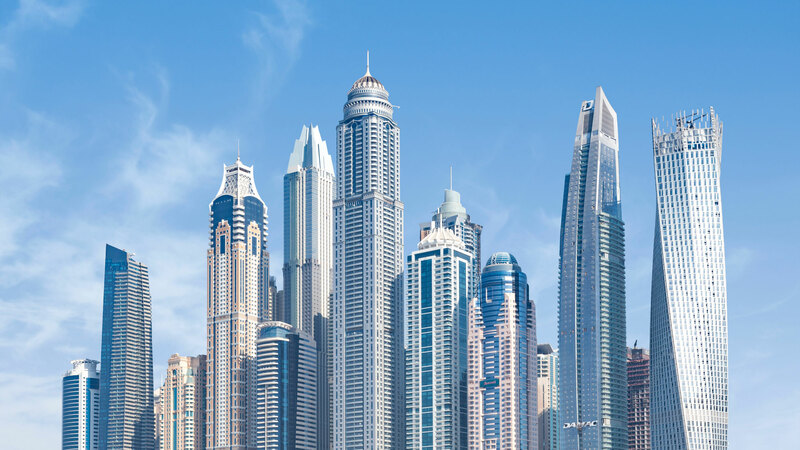 The Meydan Hotel is situated 15 minutes away from Dubai International Airport with close proximity to the hustle and bustle of the city centre and mere minutes away from Downtown Dubai and the iconic Burj Khalifa. To apply to become an IPAF member (from US$111 for annual membership), please download the current membership prices (USD $) and the IPAF Membership Application form*. For more information about membership and the benefits of being an IPAF member, please visit our website. *Please book now for the IPAF Middle East Convention, and indicate you will submit a membership application. Sponsorship opportunities now available, download the sponsorship brochure now or contact Faith Cobaine on faith.cobaine@ipaf.org or call +44 (0)15395 66700. Alternatively call Jason Woods on + 971 55 3094 333.